Sometimes, the parenting journey reminds me of the Israelites during the Exodus walking around in the desert. Luckily, the hands-on work of parenting children in the home is 18–19 years instead of 40. Like Israelites lost in the desert, we parents often feel like giving up; but it is not an option. If the Israelites had given up they would have been stuck in the wilderness. If parents give up, our children may be lost in life. Some days are drudgery and we wonder if we will make it. Other days, we know all of the work is worth it and our parenting journey will take us to that promised land where our children are successful adults. Parents need to keep putting one foot in front of the other and moving forward. My parenting journey started when I went into labor seven weeks ahead of schedule. Because my baby was going to be a very early surprise the doctor decided not to hurry things along, but he would not stop them either. I said, “OK, I will go to work then.” He let me know in no uncertain terms that I would not be leaving the hospital until the baby was born—no matter how long it took. 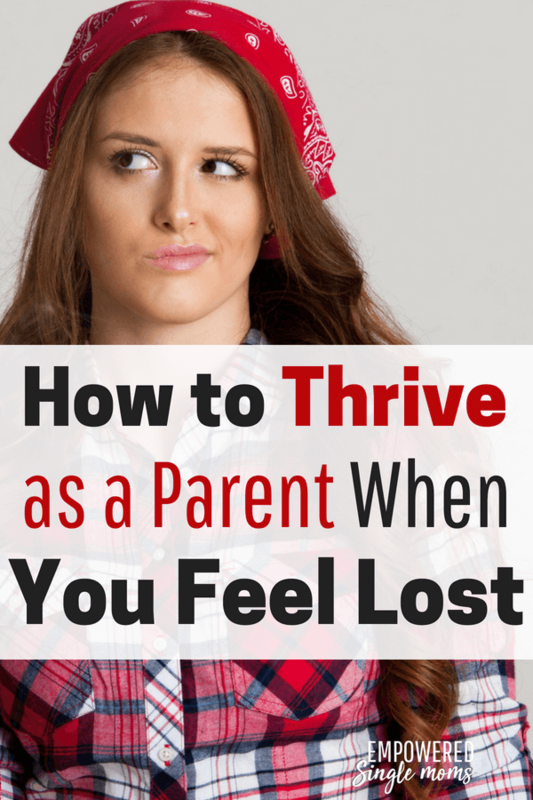 This was certainly not the last time in my parenting journey that life did not follow my plan and the long-term view took precedence over my short-term needs or wants. A couple of days later after several hours of labor and way too long pushing, I told the doctor I had had enough. The doctor’s eyes grew wide, possibly because his face was dangerously close to my foot. He may have been afraid I would try to leave, perhaps after kicking him. But of course I could not leave. I was committed to following this through until the baby came and then for rest of my life. Our baby was in the NICU for more than six weeks. There were many times I wanted to just be done being at the hospital every day watching my darling baby get stuck with needles. The world as I knew it had ended. All that mattered was the baby and what little I could do to support him in this difficult time. The journey to the promised land does involve unbelievable suffering. We suffer ourselves and then bear the pain of watching those we love suffer. Think of what the Israelites endured: plagues, snakes, and hunger far from the home they had known. When we were finally able to bring our beloved babe home, there was the exhaustion of being woken up every night. It was weeks and weeks before I slept more than an hour and a half at a time. If you had told me it was possible to get by on that little sleep I would not have believed it; but it is. Parents do what we need to do, even when it seems impossible. And there are the dirty diapers. My mother had six children in the days of cloth diapers, wringer washing machines, and outdoor clotheslines. She used to tell the story of crying as she hung diapers and imagined she would be changing, washing, drying, and folding diapers her whole life. Of course the day did come when she was done with diapers. That day comes for all of us, but in the moment we wonder if it ever will. Then there are the teenage years. These years can be absolutely wonderful or they can be your personal series of plagues. Sitting next to a fifteen-year-old driver while another car speeds toward you in your lane is just one of the trials of teaching driving. You will return to nights with little sleep, but this time your darling cherub will not be next to you or down the hall. You will lie in bed awake waiting for him or her to return safely home. With some planning and no small amount of luck, your teen will have friends who are good decision makers. If not, there is no end to the trouble you will endure. There is the joy and heartbreak of our children leaving. I remember holding my sweet newborn and crying thinking about the day he would leave me. When I told my mother she said, “God has a way of preparing you. When the time comes you will be ready.” An older lady from church had shared that wisdom with her. At the time she thought the woman was terribly cold. In time I, like my mother, realized it was true. Just as God prepared the Israelites for the promised land, God prepares us to let go of our children by stages. When they reach the promised land of successful adulthood, we find that there are many things about this stage that make it the promised land for us as well. TParenting is hard, but oh so worth it. There are many steps in between a child’s infancy and adulthood when parents want to give up. But when you choose to have a child, you choose to never be the same again. There are difficult times, but there are wonderful times too. When your baby smiles at you for the first time, all of those sleepless nights disappear. When you get to sleep through the night for the first time, you appreciate the sheer joy six hours of uninterrupted sleep can bring. One of the best moments so far was when my adult son told me he was proud of my work helping other people. When your kids appreciate you as a person, not just a parent, it is different than any of those other milestones. You are on two adults who love and respect each other. This joy is worth the heartbreak and times you just wanted to give up. Whether you are enduring sleepless nights and diapers or suffering with demanding teenagers, parenting is a journey not a quick trip. You, too, will have an adult children. They will be a friends and not beings who needs everything you have to give and then some. Remember the Israelites. There are trials, but you will get there. Do the best you can and remember this too shall pass. The days are long, but the years will go by quickly when you look back. Relish the moments and give yourself grace. What helps you move forward during difficult times?